Crosgile was accidentally discovered by EWU coach Jim Hayford, who called a local AAU coach about a different issue. "I told the coach I was looking for a point guard and he knew Justin was looking to transfer," said Hayford, who previously coached for the last 10 years at Whitworth College (Wash.), a Division III powerhouse, before being hired on March 29. 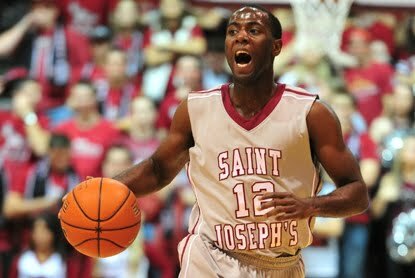 "If I was here a few years ago and trying to recruit Justin, I'd be going against Saint Joseph's and St. John's. "I honestly believe Justin is one of the Top-50 point guards in the country." The whole article is definitely worth a read to learn a little bit more about a guy that should be an impact player for Jim Hayford next season.